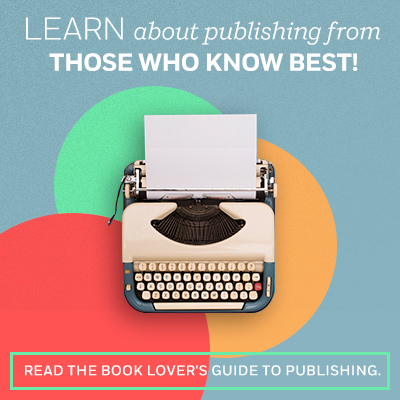 Who’s ready for the fourth and final installment of The Book Lover’s Guide to Publishing?! This week, we’re speaking to Jeanne-Marie Hudson, the Vice President, Associate Publisher, and Director of Marketing for Berkley. Have you ever wondered why books come in different sizes or why the same book can have multiple covers? Read on to find out! What’s a mass market paperback? Mass market paperbacks are a smaller trim size and more inexpensive than trade paperbacks. The original mass markets, or “rack sized” paperbacks were designed to fit in racks at supermarkets, drugstores, and other non-traditional book outlets. There is also a larger trim and more expensive “premium” mass market that is now quite popular, particularly for bestselling authors. How is a mass market paperback different from a trade paperback? Trade paperbacks are essentially the same size as the hardcover, but with a different binding and a lower price. They started as primarily bookstore product, but now are also in mass merch accounts. What about movie tie-ins? Movie tie-ins are paperback editions of books that have become movies (or TV shows, which is of course a TV tie-in). They are published in mass market, trade, and some movies or TV shows warrant both formats. They utilize the movie studio art to create a clear connection for the consumer. Interestingly, we frequently also see dramatically increased sales for the original art paperbacks alongside the sales of the MTI, even if the title of the movie and MTI is different from the original work. A huge thank you to Jeanne-Marie, the rest of our employees who took the time to be interviewed, and to YOU for reading along! We hope you learned something new about the world of publishing. Happy reading, Penguins! We’re back for another round of The Book Lover’s Guide to Publishing! Scroll down to learn about typos, binding errors, and book covers. Why do typos happen? Typos happen because no matter how many people are carefully scrutinizing a book as it makes its way to print, people remain, unfortunately, fallible, and one eye or brain blink at the wrong moment and, well, there’s your typo. I’d add that it’s quite possible, though, to produce a book without a single inarguable error in it, and we do that a lot. And that the number of typos called to our attention—which we’re always eager to fix in reprints of print books and, immediately, in ebooks—is delightfully minuscule. (Ben Dreyer, VP, Executive Managing Editor & Copy Chief Random House) Why do binding errors happen? Binding errors are too quite rare, and because of careful oversight during the manufacturing process—and of course we look at finished books here in the office as soon as they’re printed—flawed books rarely make it out of the warehouse and into consumers’ hands. Occasionally a book will escape with dropped or miscollated pages, but even when that occurs the error tends to be isolated to a few copies from the print run. (Ben Dreyer, VP, Executive Managing Editor & Copy Chief Random House) How are book covers designed? Designers are usually given a brief and a manuscript of each book to read over. Once we’ve got an understanding of the book we put together concepts and work with our art directors to hone the design and make sure we’re clearly communicating the message of the book. From there, we show comps to the editor and publisher, and once a cover is chosen it goes to the author for approval. (Colin Webber, PPG Designer) Why is the paperback cover different from the hardcover cover? The paperback is different from the hardcover for a few reasons. Most of a book’s life is spent as a paperback, so something like a noteworthy quote becomes more important in grabbing the attention of passersby. The production and price point factor in as well. Certain designs lend themselves better to a smaller paperback than a jacketed hardcover (and vice versa). Sometimes the paperback version falls under a different imprint with a different publisher than the hardcover. Different publishers might have different visions for the book, and try to reach different audiences. (Colin Webber, PPG Designer) A huge thank you to all of our employees who took the time to be interviewed. We hope their answers have helped you better understand the publishing process! Check back next week for our fourth and final installment of The Book Lover’s Guide to Publishing! Why is [book title] not available to purchase in my country? The Penguin Random House international sales team works with distributors, wholesalers, and retail booksellers all over the world to reach readers in over 240 countries and territories. While we have robust international sales and marketing reach, our distribution is formally limited to a list of territories the publisher negotiates with an author’s agent when purchasing book rights. Rights to the UK and British Commonwealth are often sold separately and exclusively to a British publisher. Territories outside the exclusive domains of the US and UK—the “open market”—are generally shared between the two publishers on a non-exclusive basis, but may vary at the country or regional level. Every book is different, and one of the exciting challenges we face in international sales is keeping them all straight and getting copies into readers’ hands everywhere we have the rights. (Kelly Roberts, International Marketing Manager) What are the other jobs associated with publication? (Sales, Marketing, Publicity, Subrights, Special Markets) In addition to editorial, there are a wealth of other departments in a publishing house that help bring the books to life and to the marketplace. Our managing editorial, production, and art teams usher books through the process that creates the physical objects. Our publicity teams bring them to the attention of the media, while our marketing teams bring them to the attention of consumers. Our subrights team coordinate getting our books published internationally, and also get excerpts from our books placed in magazines and newspapers. Our sales and special markets teams bring our books to retailers and the marketplace so that consumers can buy them. And this is only the tip of the iceberg! (Casey Blue James, Manager, Business Development Penguin Publishing Group) A Huge thank you to all of our employees who took the time to be interviewed. We hope their answers have helped you better understand the publishing process! Check back soon for another installment of The Book Lover’s Guide to Publishing. 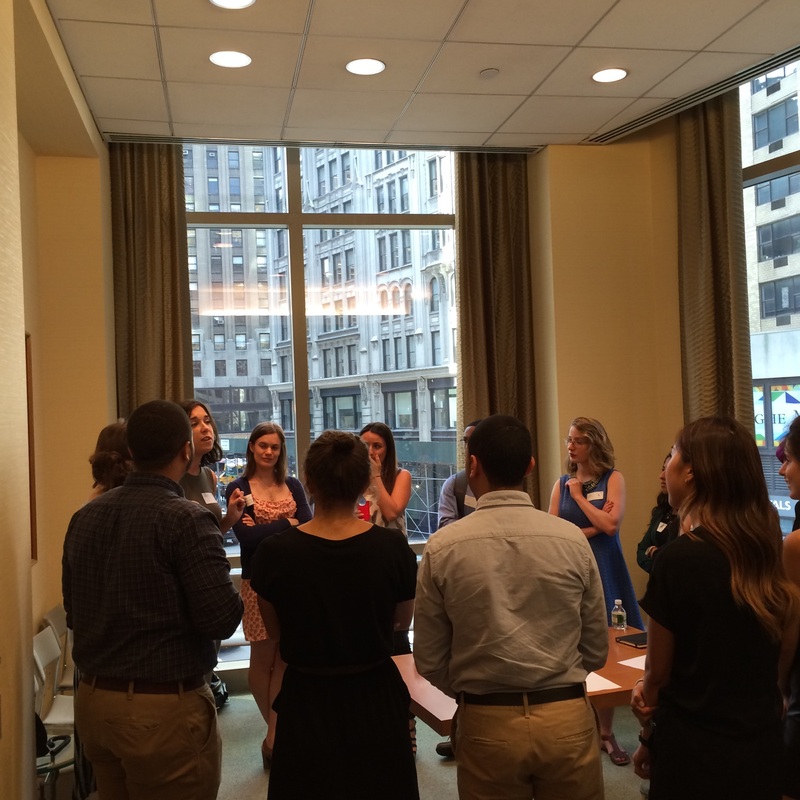 Welcome to Penguin Random House’s “The Book Lover’s Guide to Publishing” blog series! Over the next few weeks, we will be interviewing PRH employees from various departments to get the inside scoop on their jobs and how they help create the books you love. Read below for the answers to your most pressing publishing questions! How many books does Penguin Random House publish each year? Penguin Random House publishes over 70,000 digital and 15,000 print books each year. Although these official copies line bookshelves across the globe, they aren’t the only versions to exist. Before the final copies are printed, there are ARCs (Advanced Reading Copy or Advanced Readers Copy), galleys, and RBMs (Reformatted Bound Manuscripts). What is an ARC? An ARC is “created using the first pass of the book, which has been copyedited and flowed into a text design by the typesetter. The cover features the jacket art and often has a fully designed spine and verso; it may also include the same lamination and/or effects that are planned for the final cover/jacket. The text and covers are often printed offset, by the same printers who will produce the final books and covers/jackets” (Melissa Solis, Managing Editorial). What is a galley? Galleys are similar to an ARC, but “a little less fancy—i.e., no special cover effects and a plain spine and verso. It is still created from the first pass, which has been copyedited and designed. Galleys are produced at a digital printer (versus offset) due to lower print quantities” (Melissa Solis, Managing Editorial). What is a RBM? A RBM differs from an ARC and a galley because it’s “an uncopyedited and undesigned manuscript that is bound for reviewers and/or for early reads to get people a sneak peek of the book. Editors will often use bound manuscripts to solicit blurbs for the final book jacket. 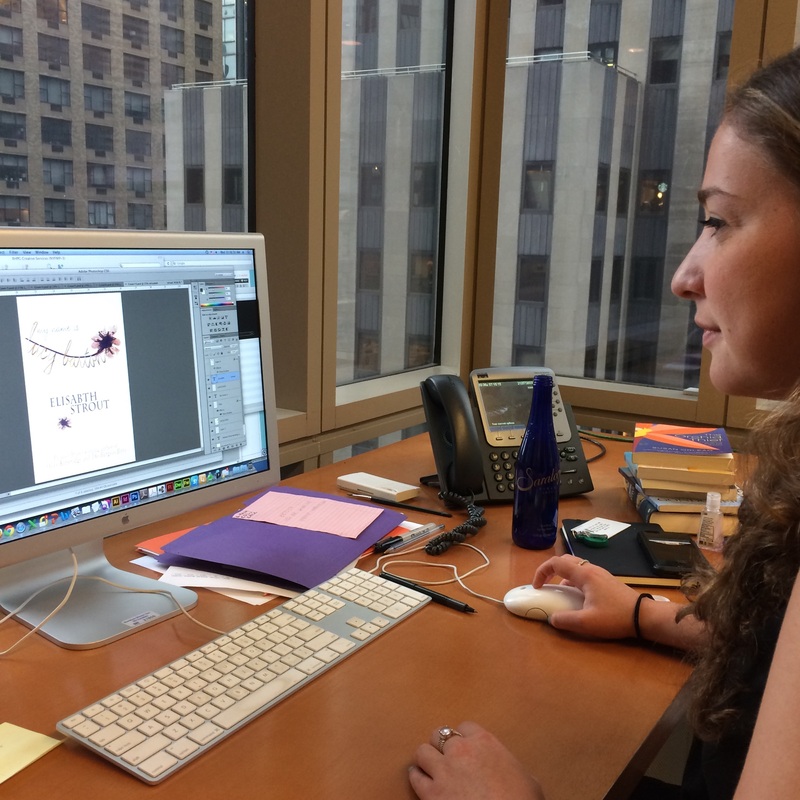 Bound manuscripts are made early in the process, before a cover is designed and sometimes even before a title has launched to our sales team” (Melissa Solis, Managing Editorial). So how do books actually get from the printer to bookstores? Once a book has made it through the production department and has been copyedited and proofread, it is ready to be printed in its final form. PRH printers “deliver new books to one of our two warehouses about four weeks before a book’s on-sale date. Meanwhile, we receive sales orders from booksellers, distributors, and consumers. Once a sales order is received, a request is sent to our distribution center to ‘pick and pack’ the books. Books are then shipped to the designated bookstore/customer. Alternatively, books can be sent directly to booksellers from our printers or sent to one of our partner warehouses for faster distribution to customers in certain regions” (Chelsea Vaughn, Publishing Operations). What’s the difference between advertising and publicity? As the publication date for a book nears, the marketing and publicity departments work full-force getting the word out and generating attention for the book so that readers will become interested in buying and reading it. The biggest difference between the two is that “advertising is paid for, whereas publicity is not. Our publicists pitch various media outlets with the authors/titles that they think the outlets would find interesting for their own readers or viewers and hope that the outlets will choose to feature the author and/or title. Our marketers, however, pay for advertising placements based on various factors and can guarantee a placement as long as we can pay for the cost” (Christine Hung, Advertising). What determines where an author goes on tour? To help generate attention for his or her book, an author will usually go on tour. Although there are many factors that go into deciding where an author should tour, it is ultimately up to the publicity and sales teams who “work together to gather event requests from stores across the country and also consider places where the author has a personal connection, or they think the book will have special appeal. Then with this at hand, they sit down with a map of the USA, Google Flights, a blank calendar, and one million cups of coffee and draft out a dream tour to hit as many of these stores and markets as possible, without exhausting the book’s budget…or the author!” (Elizabeth Hohenadel, Publicity) What are the various literary awards that an author can win? After a book has been published, it can be eligible to win a multitude of literary awards. These awards are “as vast and unique as books themselves. Along with the big national awards that any reader would have heard of, like the Nobel Prize or the Pulitzer, there are hundreds of other awards in a variety of categories. There are awards based on genre, like the Edgars for mysteries or the Hugos for sci-fi. There are awards based on age, like the New York Public Library Young Lions Award, which goes to writers under 35 or the Passager Awards for writers over 50. There are awards given based on gender, on sexual orientation, on ethnic and religious background, on the state where you were born, the number of books previously published, the amount of pets you have. OK that last one was a joke, but you get the drift, it’s a big world out there for literary awards!” (Elizabeth Hohenadel, Publicity) A Huge thank you to all of our employees who took the time to be interviewed. We hope their answers have helped you better understand the publishing process! Check back soon for another installment of The Book Lover’s Guide to Publishing. Editors get very passionate about books they work on – the Editor’s Desk series is his or her place to write in-depth about what makes a certain title special. Get the real inside-scoop on how books are shaped by the people who know them best. The best present an author can give an editor is the gift of surprise. Editors spend their days reading a lot of manuscripts that don’t tell them anything new. So reading a story about a world you thought you understood framed in an unexpected way that prompts you to think differently about it, that’s hitting the publishing jackpot. Which is what I did when Three-Martini Lunch came across my desk. In this terrific novel, Suzanne Rindell delves into a world I knew something about – book publishing – but sets her story in the late 1950s, which was when big changes were about to take place. I thought I had a decent grasp of the era. I’m familiar with two other iconic New York stories from around that time: Rona Jaffe’s classic novel (and eventual movie) The Best of Everything and the television show Mad Men. In both of those, New York City is portrayed as one of the places to be in the mid-20th century. If you know anything about either The Best of Everything or Mad Men – or even Alfred Hitchcock’s 1959 movie North by Northwest – you see a New York that’s sleeker, cleaner, less crowded than it is today. And the roles of men and women were as clearly defined then as their ambitions: Success for men meant career and advancement; success for women marriage and family. 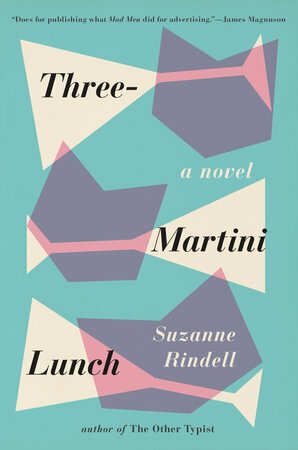 In Three-Martini Lunch, Suzanne Rindell peers beyond that mid-century mindset and explores the lives and worlds of Miles, Cliff and Eden, three young people struggling to gain a toehold in New York and hoping that publishing is the way to do that. The lives they lead are a far cry from the expense-account lunches and pristine suburban enclaves of the publishing elite. These young people are drawn to Greenwich Village and its emerging beatnik culture, with its dark and smoke-filled bars, jazz clubs, and poetry readings. And they struggle to stretch their meager bank balances by living in cramped, ramshackle apartments and having just enough money for food and beer but not always both. Suzanne gives her characters fascinating opportunities to pursue their individual ambitions and indulge their temptations. Even more compelling, she shows readers how the choices they make to achieve their goals changes them. I’m not giving anything away when I say that what you think of Miles, Cliff, and Eden at the beginning of Three-Martini Lunch will not be what you think of them at the end. As I followed the characters’ journeys through successive drafts of the novel, I found myself reassessing my own ideas about what was possible in publishing, in New York, and in America during that time. It was an era on the cusp of upheaval and turmoil, and it’s that change that Suzanne Rindell explores so effectively – and so surprisingly – in Three-Martini Lunch. Which is one of the highest compliments I can pay. Learn more about Three-Martini Lunch below!